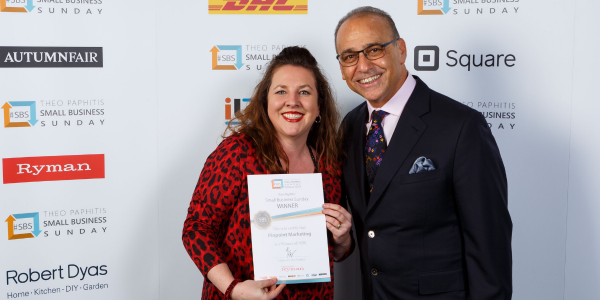 Member news is back with a vengeance, featuring award wins and all manner of good news stories from the local business community. Can you sponsor the Bucks Corporate Relay? The Bucks Corporate Relay on June 16th is a not so serious running/walking event that is looking to bring the Buckinghamshire business community together to compete in a fun and family friendly environment, where companies can socialise with their staff, network with local businesses and raise money for charity. In order for this event to launch the race organisers are looking for 10 businesses to come on board as sponsors (for a small donation). There are great opportunities that come with being a sponsor which the race directors can discuss with you. If you would like to find out more about the event, visit www.corporaterelay.co.uk. If you are interested in discussing the sponsorship options please email mark@corporaterelay.co.uk. Monodraught Ltd of High Wycombe have received a Queen's Award for Innovation. 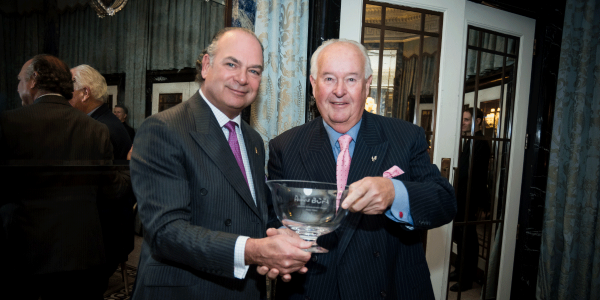 Announcing the award, Andrew McCubbin, Managing Director of Monodraught said: “The Queen’s Awards are recognised and highly rated here in the UK and indeed worldwide. They provide customers with confidence of our commercial and technological edge. Having won awards for our Cool-phase product from CIBSE and Ashden previously, the Queen’s Award is a prestigious addition to these accolades. 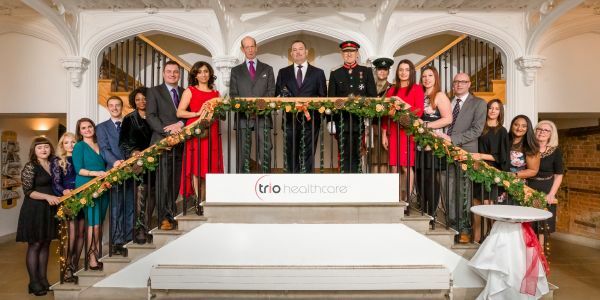 Trio Healthcare, based in Great Missenden, were presented with the Queen's Award for Enterprise under the Innovation category for their breakthrough patented silicone technology, which is improving the lives of ostomates around the world. This is the second time Trio Healthcare have been the recipients of a Queen’s Award for Enterprise. In 2011 they were awarded the Queen’s Award - International Trade. Lacey’s Family Farm has won the award for ‘Best Tasting Dairy Product in the UK’ at The Dairy Industry Trade Awards. Their single cream defeated the likes of Arla, Muller and Wensleydale. A High Wycombe-based social enterprise says it is 'overwhelmed' by work Buckinghamshire New University students produced for it as part of their course, boosting its profile and saving it around £2,000. Bucks Business School students worked with healthy living social enterprise Khepera CIC, and created promotional films as well as Business Instagram and Facebook Marketplace profiles for it to sell products through. Blaser Mills Law recently hosted a property breakfast briefing at their High Wycombe office. Speakers Alex Wyatt, Shona Dunning and James Nelson addressed recent and upcoming developments in property law, including the New Electronic Telecommunications Code, Minimum Energy Efficiency Standards Regulations and fire safety and block management post Grenfell. Crafty Tech Ltd has won a Food Innovation Network Award and a share of £50,000 as part of a government competition that is backed by Defra and Innovate UK. A business based at Westcott Venture Park has announced the impending testing of a new aero-space engine that has received funding from Boeing and Rolls Royce. Reaction Engines Limited believes its new propulsion system that is part jet engine, part rocket engine, can transform the space launch market and usher in hypersonic travel around the world. Blaser Mills Law’s Commercial Litigation team have been shortlisted for the Credit Awards 2018 in the Law Firm of the Year category. The awards will take place on Thursday 17th May 2018. Blaser Mills Law has announced the promotion of leading Criminal Defence lawyer Dan Martin to Partner, bringing the firm’s total number of partners to 22. A number of top athletes have visited the Human Performance Lab at Buckinghamshire New University for a series of films on the Olympic Channel about the anatomy of a top athlete. The episodes feature French figure skater Mae Meite, Canadian ice hockey player Jennifer Wakefield, and Ukrainian weightlifter Dmytro Chumak, undergoing a series of tests to assess their capabilities. The Human Performance Lab is part of the Human Performance, Exercise and Wellbeing Centre at Bucks New University, which also includes a Sports and Wellbeing Clinic. Last year the Citizens Advice national helpline received over 17,000 calls about problems with mobile phones, 43% of which related to faulty mobile phone handsets. A common theme of the complaints is that when it comes to repairs, consumers’ rights are not very clear. Backed by Trading Standards, Chiltern District Council, Amersham Town Council and Chesham Town Council, the charity Citizens Advice Chiltern have introduced the first ever registration scheme in the country for mobile phone repair shops, committing to an excellent level of service. This voluntary Service Charter helps address any confusion as shop owners commit to applying consumer rights and providing great customer service. Citizens Advice Chiltern has been overwhelmed by the positive response from shop owners wanting to sign up. All nine mobile phone repair shops in Amersham and Chesham have now registered. The project has been such a success that the Service Charter is now being replicated by Citizens Advice in other areas of the country, empowering consumers and improving the reputation of traders. B P Collins has announced that from 1 May 2018, Ed Monniot, a specialist in property development, and Janine Gibbs who is experienced in a wide range of commercial property transactions, will be promoted to senior associates. Hannah King will also be promoted to senior associate in the employment practice and Raj Malhotra will become an associate in the Dispute resolution team. The promotions in the property practice group come after a strong year advising on over 1,000 matters, of which a quarter had a transaction value of over £1million. Meanwhile, 20% of its client base were new clients. Thames Valley Air Ambulance (TVAA) is challenging members of the public to put their best foot forward to raise vital funds to keep the charity at the frontline of saving lives across the Thames Valley. On Saturday 16th June, Thames Valley Air Ambulance will be holding a new fundraising event, the ’Thames Valley Trek’. 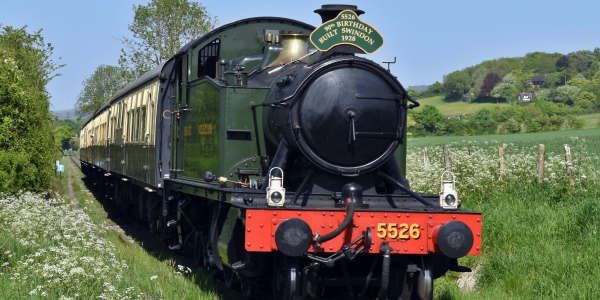 The event is a picturesque walking challenge which meanders alongside the River Thames, crossing through the counties of Buckinghamshire, Berkshire, and Oxfordshire. Supporters can choose the distance which suits them with two route options available. They can either take on the challenge of the full 26 mile route or trek the half marathon distance of 13 miles. To sign up, walkers can visit www.tvairambulance.org.uk/thames-valley-trek or call 01494 923 877.
westfourstreet were recently nominated for two awards at the SME Buckinghamshire Business Awards - for Best Enterprising Business and Milton Keynes Business of the Year. They were also nominated at the MK Business Achievement Awards in the ‘design and creativity’ and ‘best use of social media’ categories. Law firm Moorcrofts’ corporate team has advised Gnergy Holdings Limited (“GnERGY”) on a £2million community investment round. Founded in 2013, GnERGY is a Hampshire-based energy supplier set up by former Gurkhas (former Nepalese soldiers who served in the British Army). GnERGY provides gas and electricity to consumers and offers a real alternative to the existing major energy providers on the market. Andrew Gaule of Aimava Ltd has been granted the title of Visiting Fellow at Henley Business School in the area of Leadership, Organisations and Behaviour. Since graduating with his MBA from Henley in 2000, Andrew has been working globally with senior executives in leading corporates, investment funds and start-ups. The key area he has been addressing is the change related to connecting technology and new business models affecting industries like automotive, energy, consumer, defence, finance, health, property and various government sectors. Thames Valley Air Ambulance was showcased in a new TV series – Emergency Helicopter Medics - as their emergency crews attended to the most critically ill and injured patients across the region. Launched at 9pm on Sunday 8th April on More4, viewers gained a rare insight into the lifesaving services provided by Thames Valley Air Ambulance. Coldene Castors have invested heavily in machinery and skills and now stand as the only UK manufacturer of their new range of castors, suitable for moving ISO freight containers which eliminate the need for a crane or heavy duty forklift trucks. Coldene Castors are delighted to be doing their bit in putting Aylesbury firmly on the UK manufacturing map. If you have any news to share with the Buckinghamshire business community, email news@bbf.uk.com with the details. A team building event with a difference -team building -CSR-Marketing-Recruitment -Networking -Healthy workplacesAll in one! Bucks New University provides undergraduate, postgraduate and professional development courses across three campus locations. Celebrating 50 years of legal excellence, advising businesses and individuals at all stages of their lifecycle. A boutique firm, specialising in corporate and contract law, tech law, employment and commercial property law. We design, manufacture and install natural daylight, ventilation and cooling solutions to create low energy - low carbon built environments. 650-acre former Government Research Facility offering a wide range of industrial/offices & is home to a wide range of businesses. A charity pushing the boundaries of medical intervention to deliver a unique life-saving service where and when it is most needed. westfourstreet offer outstanding & affordable web design in Milton Keynes. Supplying a wide range of wheels and castors, to many industry sectors and for a huge variety of applications. Featuring Letterbox4you, Cube Video, Epoq IT, GIG, Monodraught, Seymour Taylor, Moorcrofts, Tims Dairy, Buckinghamshire Mind & more. The actual last member news round-up of 2018! Featuring Hypnos, Cube Video, and Buckmoorend Farm Shop. 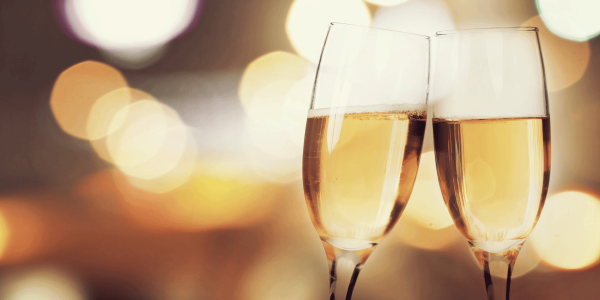 We hope our members have lots of great news to share with us in 2019! The last member news round-up of 2018! Featuring Monsta Pizza, Stoke Park, CoCredo, Kiddylicious, Lennons Solicitors, Moorcrofts, Lindengate, Pinewood, GIG, Bucks New Uni & more! The return of the member round-up! Featuring Epoq IT, CoCredo, B P Collins, Benson’s Agency, Moorcrofts, Trio Healthcare, Tims Dairy, and Backstation.